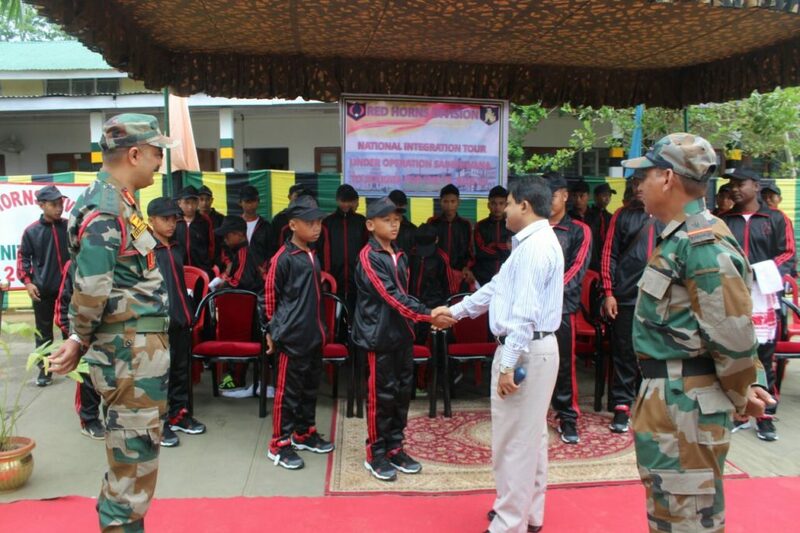 A National Integration Tour for the children from East Karbi Anglong district of Assam to Kolkata was flagged off by M K Mahanta, Deputy Commissioner of Karbi Anglong and Col JVS Rawat from Diphu railway station on Tuesday. The tour is being conducted by the unit of the Red Horns Division from July 3-10, said Guwahati based defence spokesperson Lt Col P Khongsai. A total of 30 students and three teachers from Klirdap English High School, Langmili, East Karbi Anglong are participating in the tour. The tour aims to acquaint the children from remote area of Harihajan, East Karbi Anglong with the vast and rich heritage of the country. As part of the tour, the children will visit various places of interest in Kolkata and will also interact with the General Officer Commanding in Chief, Eastern Command, Khongsai added.